I made this the other day for my mum when she put her back out. I don't eat lamb, but the smell of this cooking was so good, I wished I did! It got a massive thumbs up from Mum & my stepdad Tim. 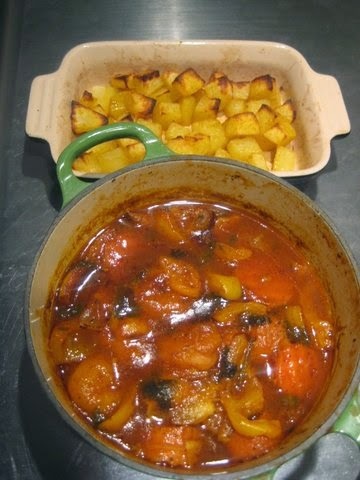 Stews & casseroles (what is the difference between a stew and a casserole anyway?) are perfect warming dishes for the colder months, and one pot cooking is the easiest. That being said, we are now in November and Saturday was amazing! Wearing t shirts in November! - love it!....although the forecast today is definately not so t shirt. As we get colder, wetter days these are the kind of recipes you need. 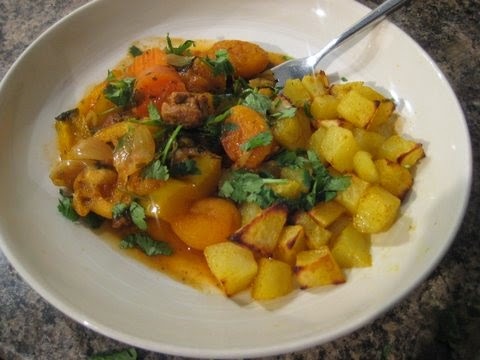 Tagines are traditionally served with couscous, but for gluten free purposes I've made some potatoes to go with this one. you could also use quinoa or rice in place of couscous, or you can get couscous made from rice or corn. this fed 2 people, just double or triple the amount to feed 4 or 6. 1 large shallot (or medium onion) peeled and chopped. 2 heat 1 dessertspoon of light olive oil (or other cooking oil) & 1 dessertspoon of water in a frying pan & stir fry the onion over a medium heat until it's softened and starting to brown. 4 mix the water, passata/ tomato sauce , date syrup, ras-el-hanout spice mix & fresh chopped coriander together to make the sauce. 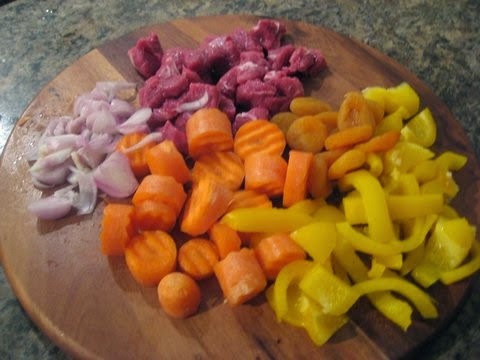 5 put the meat, shallot, carrots & apricots into the casserole dish. Add the sauce. Bring to the boil, then reduce the heat and have it on the lowest setting on the hob. 6 leave to very gently simmer away for about 3 hours. The beauty of a slow cooked casserole is that there is no exact cooking time, if you want to eat it after 2 hours, then that's fine. for the potatoes, I peeled 2 baking potatoes, (use the peel for vegetable stock) and chopped into cubes. Mix one tablespoon light olive oil with some ras- el- hanout (I used about half a teaspoon) and toss the potatoes in the oil, before roasting in the oven at 220c for about 40/45 mins or until crisp and golden.